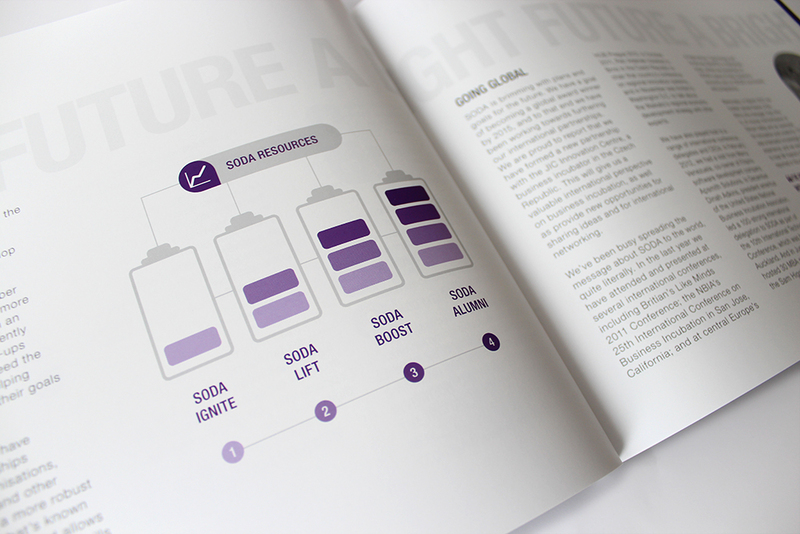 SODA Inc is an entrepreneurship hub based in Hamilton, New Zealand. 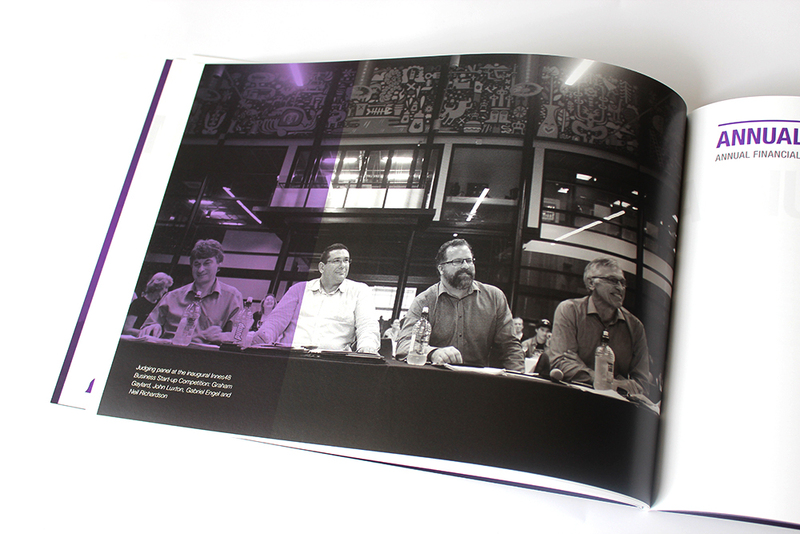 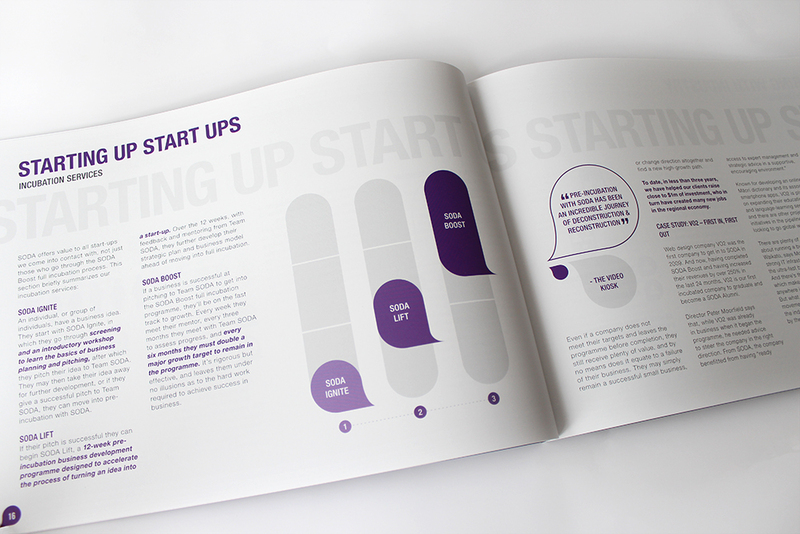 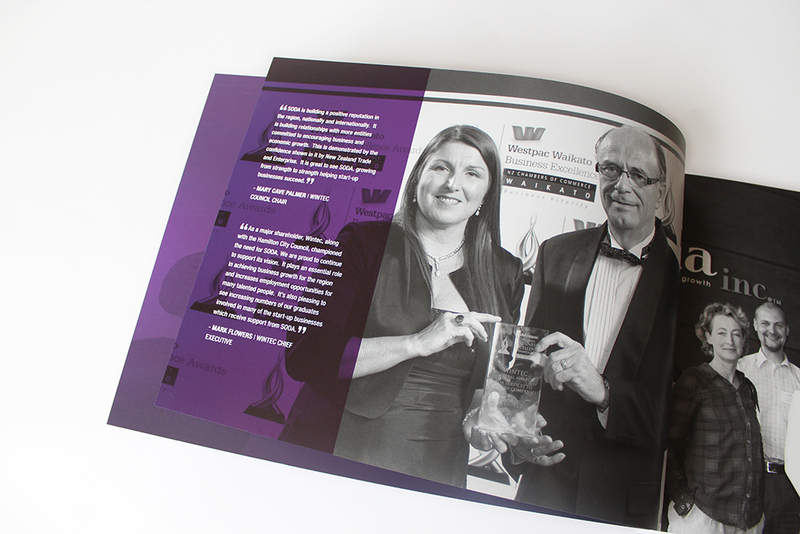 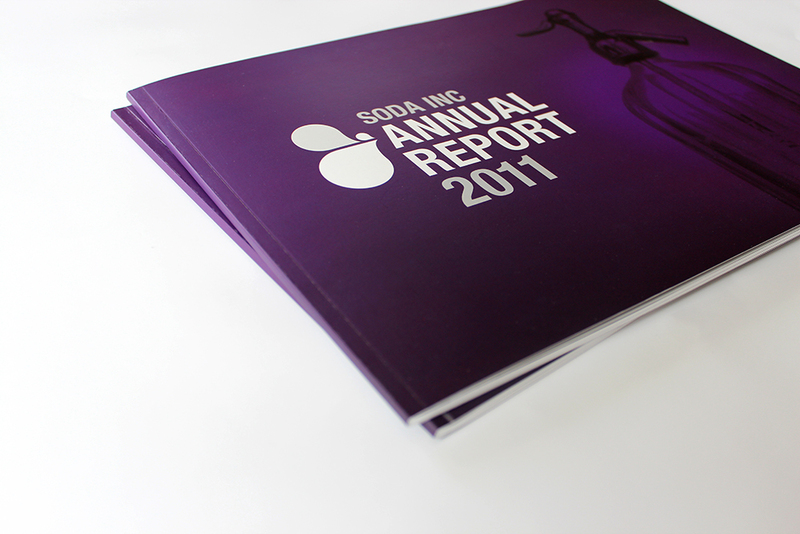 SODA were after a modern and clean annual report design which included the use of info graphics to visually represent key data. 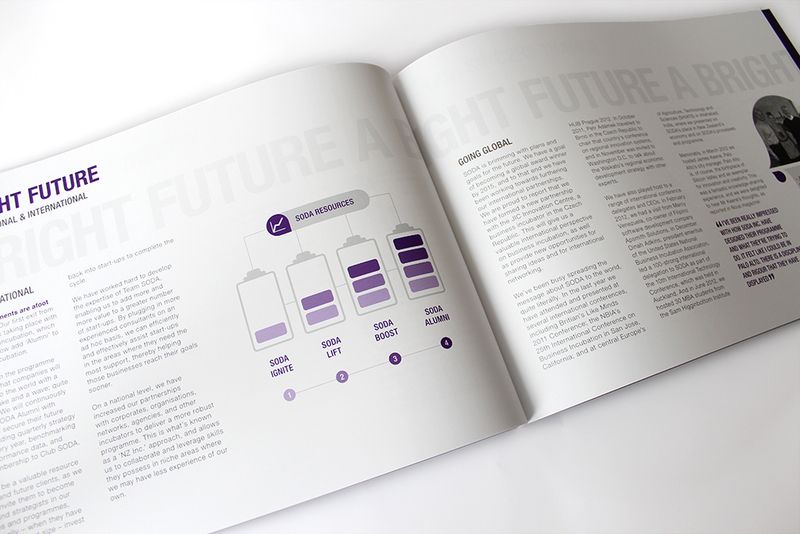 We worked with the SODA team to create a minimal design that efficiently communicated key information to the reader. 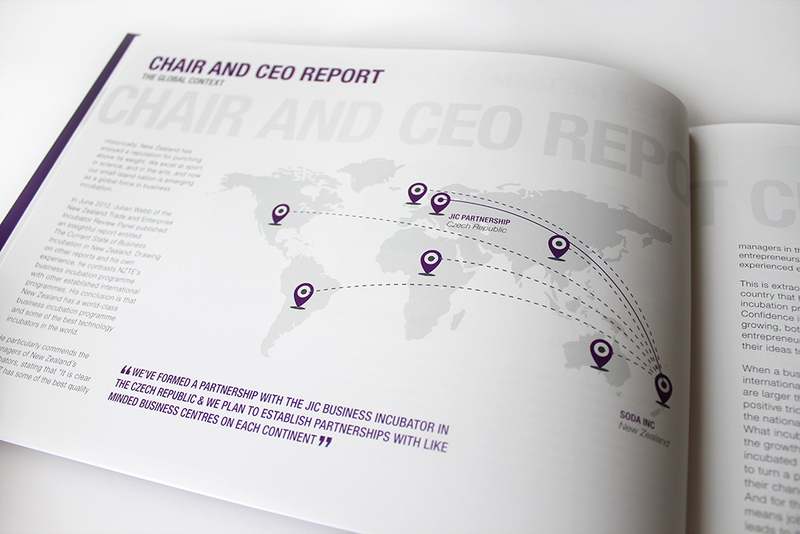 We kept the aesthetic of the annual report very minimal and used info graphics to highlight key data throughout the report.